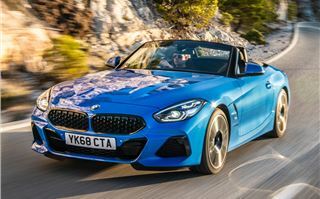 The all-new BMW Z4 is larger, more luxurious and GT-like than ever before. 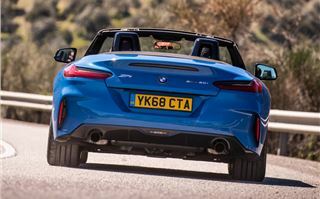 Admittedly, it makes some compromises when it comes to handling - it’s no match for the Porsche Boxster - but the Z4's quality shines through with a refined and comfortable drive that makes it apt for long distance travel. 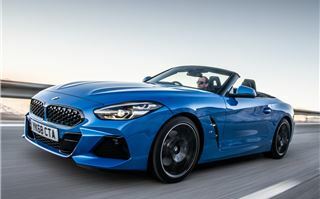 Buyers of the 2019 BMW Z4 are initially offered the choice of three engines: the headline-grabbing M40i with its 340PS six-cylinder petrol engine, the mid-range 2.0-litre four-cylinder sDrive20i producing 258PS and the entry-level sDrive20i with 197PS. It's the latter we're testing here. Don't dismiss the sDrive20i straight away (sDrive, incidentally, is BMW language for two-wheel drive). It'll cover 0-62mph in 6.6 seconds, and it certainly feels pretty eager. Not shoved-back-in-your-seat quick, but rapid enough for it to be fun. You could almost say it offers the perfect level of performance for British roads. All models come with an excellent eight-speed automatic gearbox, which always seems to find the right gear. Selecting sport mode results in almost instant up or down shifts, while drivers can take control using the steering wheel paddles if you so wish. There's no real reason to do so - the automatic gearbox doesn't hamper performance during even the most enthusiastic driving. Opt for the Sport trim and you get a nicely compliant suspension that isn't easily unsettled by broken sections of road. 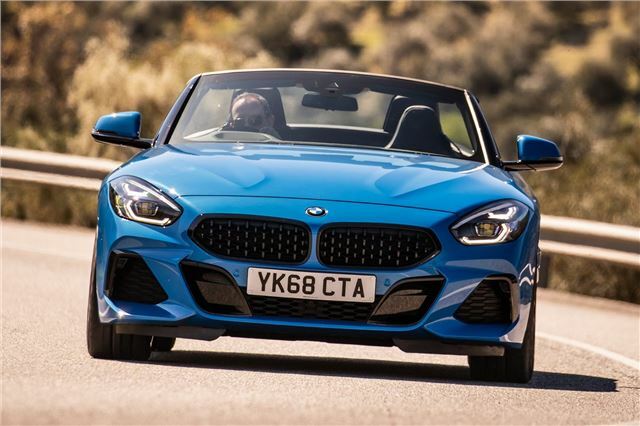 M Sport models can be fitted with Adaptive M Sport suspension (standard on the M40i) which sits 10mm lower than the standard car and can be firmed up at a touch of the button, but we didn't find ourselves missing it in the Z4 sDrive20i Sport. 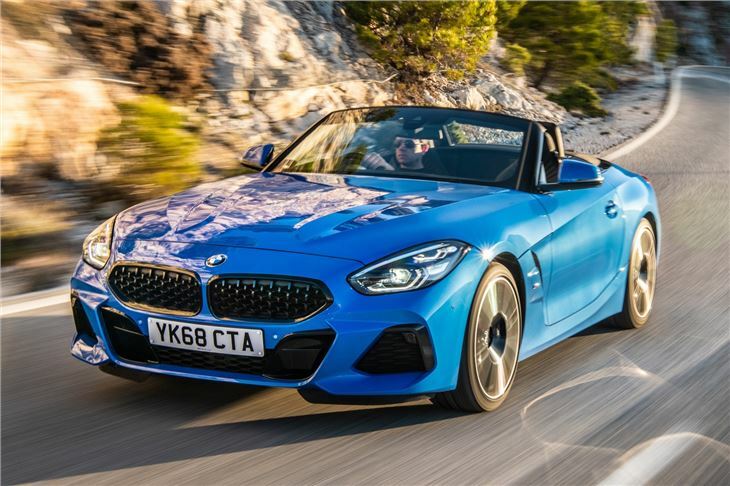 The stats hint that the Z4 is going to be an animated sports car: 50/50 weight distribution, a lower kerb weight than its predecessor and a lower centre of gravity. It feels pleasingly compact, despite its larger dimensions, and the exhaust will pop enthusiastically when you lift off in sport mode. But the steering is pretty lifeless and, when you pick up the pace, the entire experience starts to feel slightly numb. 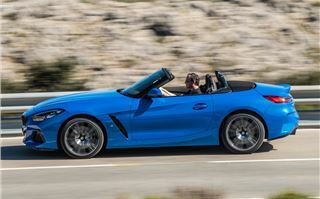 Even with the roof down, the Z4 is surprisingly refined at speed. An optional wind deflector slots in between the two seats and reduces buffeting, so long as you keep both windows up. If the weather changes, you can put the roof up or down at the touch of a button in around 10 seconds at speeds up to 31mph. The interior is lovely, with lots of high quality materials and plenty of storage for a car of this type. Obviously, with just the two seats, it's no good if you want to carry the family, but the boot is reasonably deep (although there is a high lip for lifting heavy objects over). There's plenty of technology, too, including BMW's new Intelligent Personal Assistant, which responds to 'Hey BMW' voice commands much-like Amazon's Alexa or Apple's Siri. 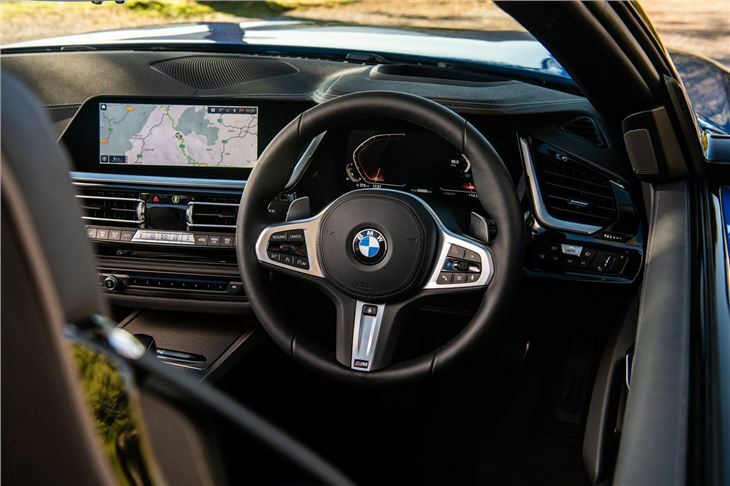 All models come with a 10.25-inch digital display in place of conventional dials as well as another display - also 10.25 inches - in the centre of the dashboard. This provides access to the standard connected navigation as well Apple CarPlay but, annoyingly for those of us with Android phones, no Android Auto. 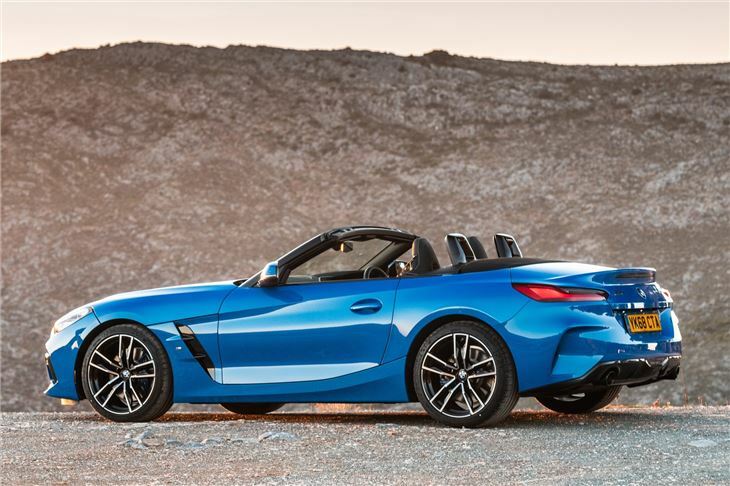 The Z4's well equipped as standard, but to save you having to look through an extensive options list, BMW's grouped its options together into handy packages. Most of these are saved for M Sport models, unfortunately, but we'd recommend the Comfort pack, which adds the wind deflector mentioned above as well as a heated steering wheel and a through-loading system for carrying longer loads. You might also find the Driving Assistant package useful, with its adaptive cruise control and lane assist functions. If you're looking for outright fun, you'd be better saving yourself £10,000 (and then some...) by opting for a Mazda MX-5. 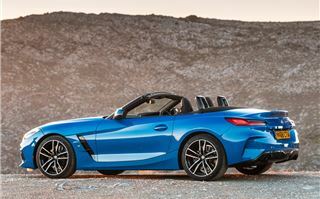 But BMW knows its market with the Z4. The interior is very good, and it's more practical than you might expect from a two-seater sports car. 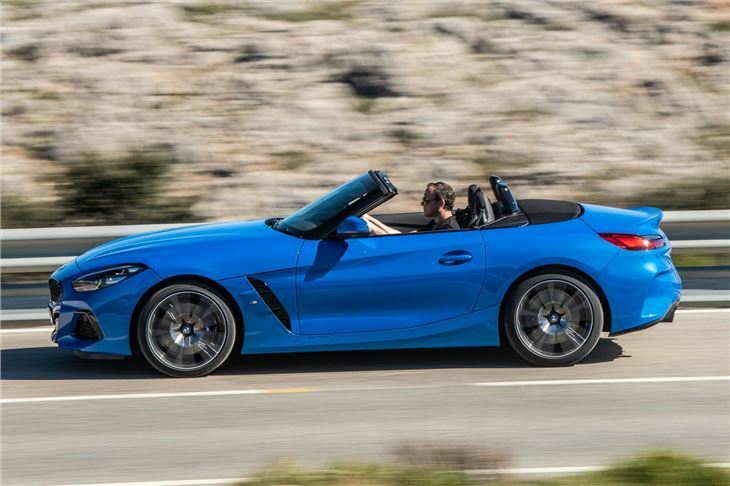 You could happily use the Z4 for covering high mileages without complaint. The entry-level sDrive20i in Sport trim is arguably the sweet spot in the Z4 range, too. It's quick enough for most drivers, and it provides a compliant ride. 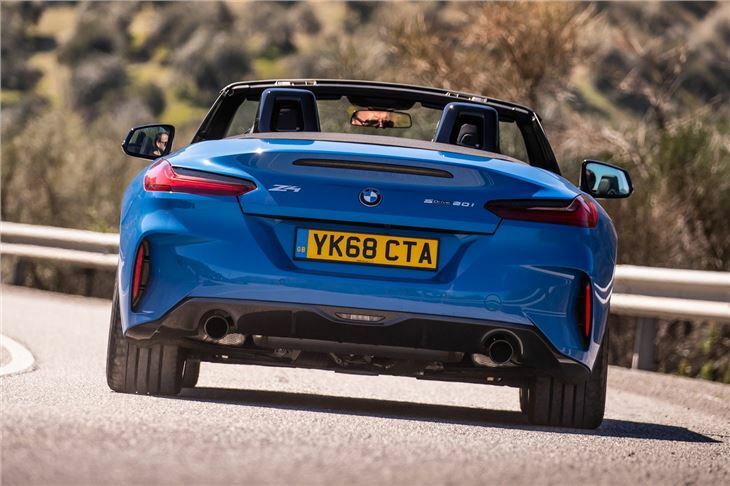 Combine that with a price tag that doesn't make it a rival to the excellent Porsche Boxster, and there's definitely a case to be argued for the entry-level Z4. 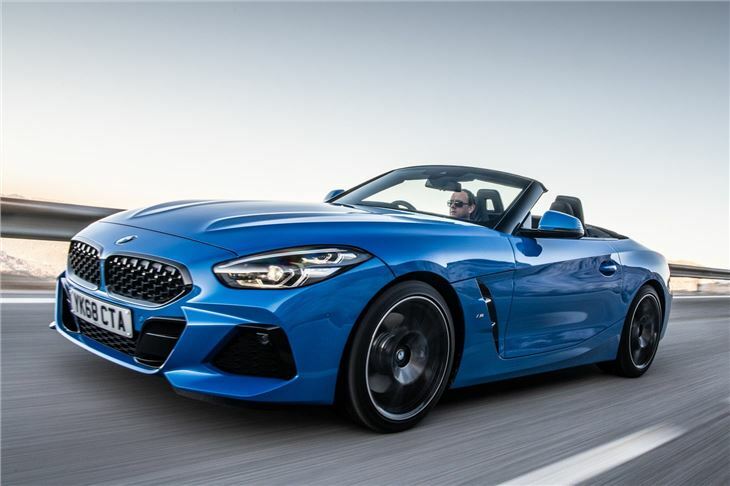 The BMW Z4 is on sale now.